Houston Smith is a native Atlantan. He attended The Westminster Schools and then graduated from Duke University with B.S. in Psychology. After graduating from the University of Georgia School of Law he worked for nearly ten years as an insurance defense lawyer. He now devotes his practice to representing the victims of those injured or killed by the negligence of others. 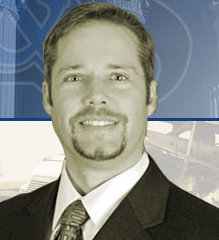 In addition to authoring Soft Tissue Injuries In Georgia (Harrison Co. 1998), Houston has contributed articles as co-author to the plaintiffs’ bar including “Representing David Against Goliath“, chairs and speaks at seminars for the Institute of Continuing Legal Education (ICLE) and the National Business Institute (NBI) and is a contributing member of the Legal Advisory Board to the Journal of Controversial Medical Claims (Aspen Publishers). Practice Areas: Personal Injury; Wrongful Death; Tractor-Trailer Liability. Admitted: 1991: Georgia; Georgia Court of Appeals; Georgia Supreme Court; U.S. District Court, Northern District of Georgia; U.S. District Court, Middle District of Georgia; U.S. Court of Appeals, Eleventh Circuit. Member: State Bar of Georgia; American Bar Association; Georgia Trial Lawyers Association (GTLA); Bar Register of Preeminent Lawyers 2009-present, SuperLawyers 2011, AV rated by Martindale-Hubbell since 2003. Author: Soft Tissue Injuries in Georgia, Thompson West Publishing, 1998-present (now in 2nd edition); Co-Author, “Representing David Against Goliath,” Verdict, Summer 2000. Seminars: Chairman and Speaker, “Inside the Courtroom,” ICLE Seminar, 1997-200present; “Punitive Damages,” ICLE Seminar, 1998-2003; “Role of Depositions and Discovery,” NBI Seminar, 2000; Chairman and Speaker, “Proof of Damages,” ICLE Seminar, 1999-2003; Speaker “Winning Settlement Demand Packages” 2005 – 2008; Chairman ICLE Seminar “Winning Settlement Strategies“, 2011.